Nothing says “I love you” like a heaping full platter of German sausages, wursts, sauerkraut and half-liters of locally crafted beer. Forget the red roses! My husband knows the true way to my heart. This past weekend, Jason and I had a blast eating and drinking our way through Munich, Germany. Oh, we did see some important buildings and a great art museum in this fun city. (I’ll talk about that in another post soon.) But the main reason for our trip was to celebrate a “romantic” weekend together in the land of my ancestors. 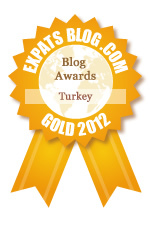 Back in November, we were looking for inexpensive places to visit near Istanbul. One of the reasons we chose to live abroad was the opportunity to travel to places we haven’t been to with our passports yet. We stumbled upon cheap flights to Munich as well as a hotel. We immediately booked the trip for Valentine’s Day weekend. Although the weather was gray and drizzly our two days there, we managed to to trod down many of the city’s cobble-stone streets in our search for good beer and plenty of pork products. Our pub crawl included a stop at Augustiner-Bräu, which is one of the city’s oldest pubs near the Marienplatz. Secondly, we had to include Hofbräuhaus even though it’s jam-packed full of tourists night and day. I would love to tell you more about our trip. However, I still have to make our steak dinner and then work on my Turkish homework. For now, I must leave you with a photo collage of our eating experiences. Until next time! Bavarian's famed roasted pork knuckle! German apple strudel for dessert, of course! Hi Julia! As much as I've tried to adapt to my new Turkish life here, I just can't believe how much we miss pork too. Lamb is just not the same substitute for pork! I also brought back several packages of pork sausages to place in our freezer for those "rainy" days. i am going through your old posts this morning and sitting here laughing at the pork comments. i would be in pork withdrawal too. this post really made me miss germany. i spent a lot of time in munich. we have a hofbrau house here now and i am going there tonight. i will eat some pork for you! i will be making a pork roast in the next few days and i will post it. i love your blog and all of your adventures!